Call 320.252.0896 to schedule your portrait session TODAY! Receive professional portraits at this benefit for animals - perfect for holiday cards. 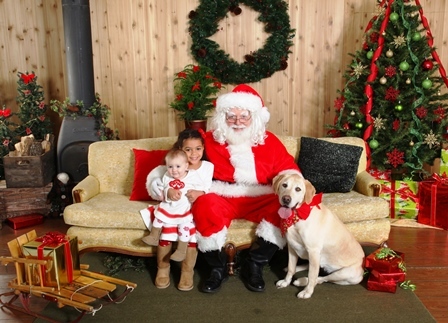 Pets are welcome (of course) and you may choose to include Santa and/or Mrs. Claus in your photos. A special thank you to Lisa Crayford of Country Gallery Photography and Kloster Commercial Resources for sponsoring this event. Because of their generosity and the help from many volunteers, 100% of the proceeds from Santa Paws will benefit the animals at Tri-County Humane Society. Sessions fill quickly! Call 320-252-0896 to reserve your spot now!